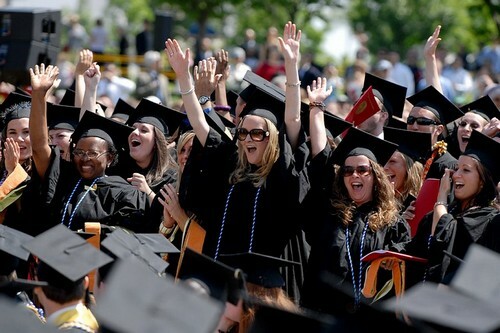 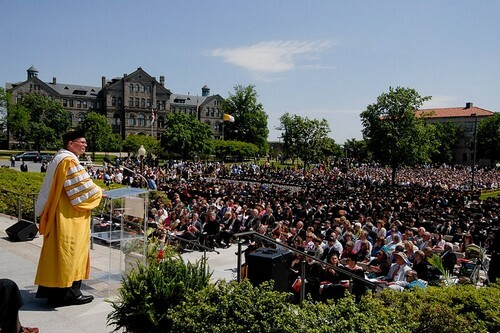 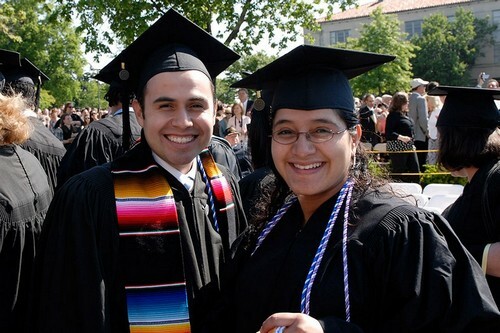 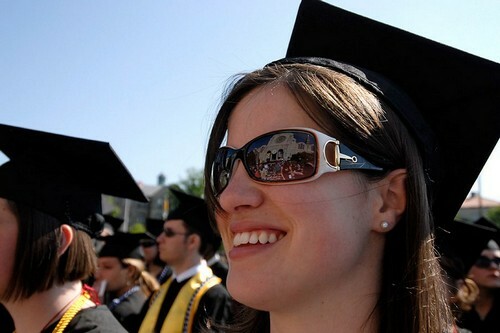 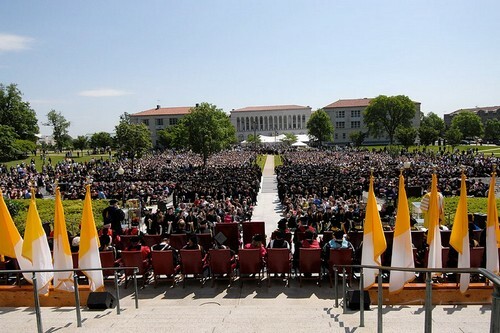 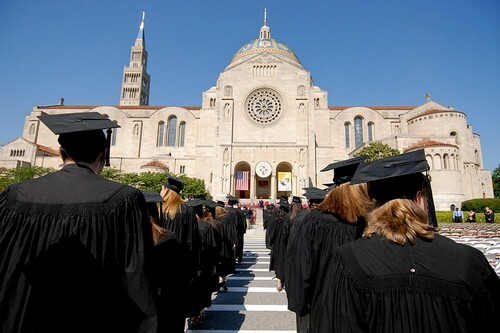 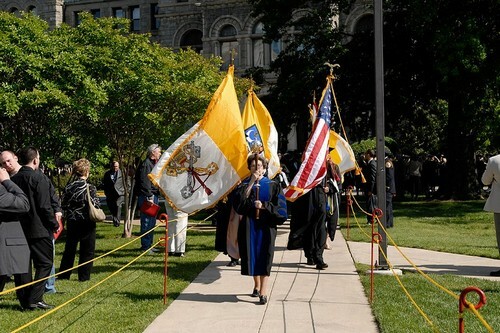 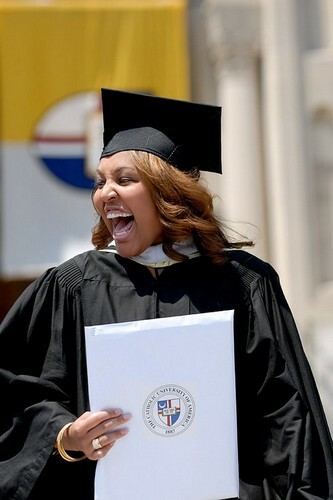 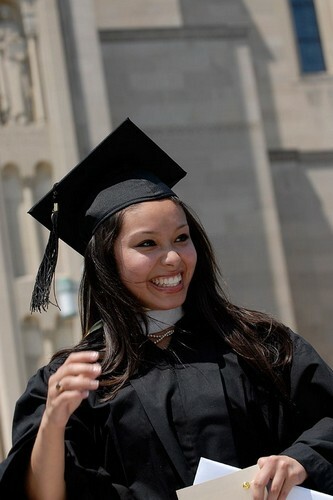 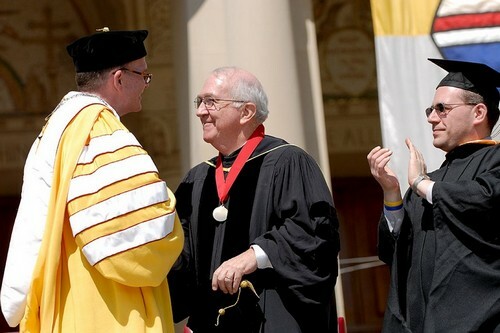 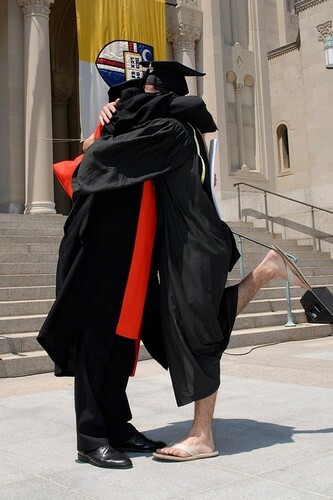 More than 800 graduates received bachelor's, master's or doctoral degrees at the university's 119th Annual Commencement, held May 17 on the east steps of the Basilica of the National Shrine of the Immaculate Conception. 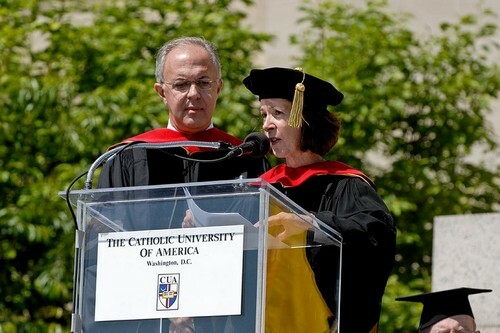 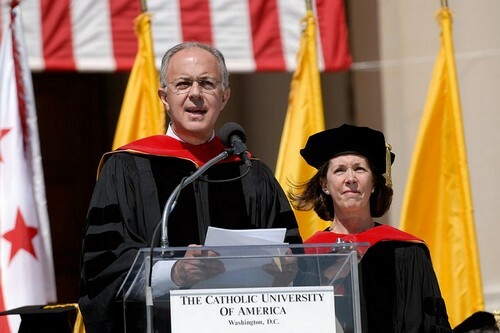 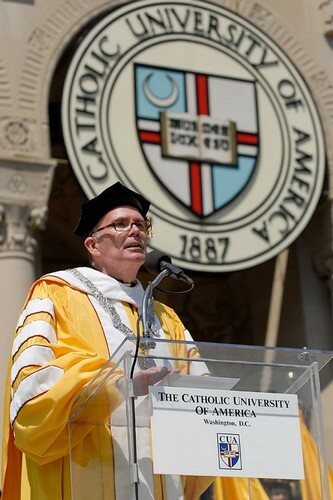 Knights of Columbus Supreme Knight Carl A. Anderson and his wife, Dorian, delivered the main commencement address. 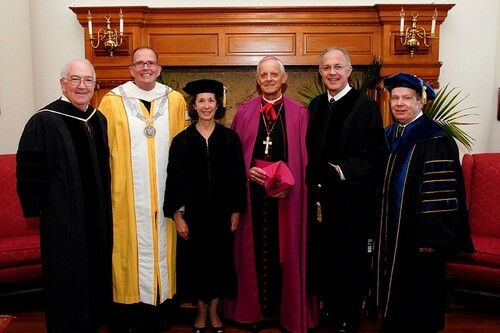 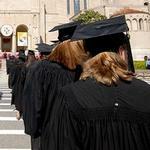 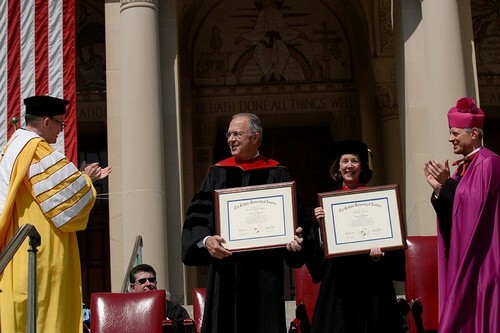 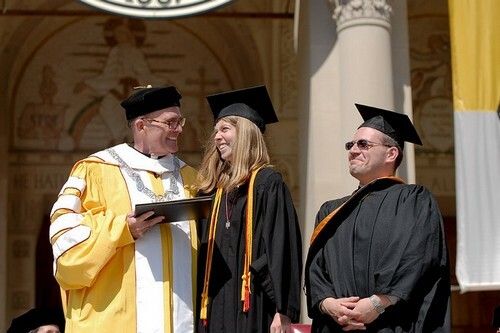 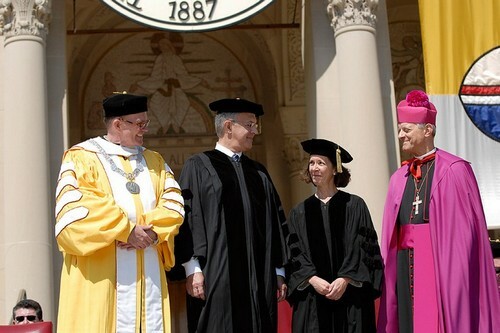 Each received a Doctor of Theology honorary degree.